What is the difference between an online bank and online banking? Online banking is usually a service provided by your bank, where an online bank is a bank that has no offline presence. Whether you are using an online banking service provided by your bank, or opening a new account with an online bank, online banking can save you money. Time is money and by avoiding time consuming trips to your local brick and mortar bank, you are freeing up a precious thing. Online banking gives you the ability to transfer money between accounts, and even to outside accounts with little to no time wasted. Simply by taking a picture of a check, you can deposit it into your bank. You don’t even have to leave the house. The best thing? You can bank anywhere, anytime. This means you don’t have to rearrange your busy schedule to fit in a trip to the bank. Most online banking services offer bill pay with the ability to schedule automatic payments. Some also have the ability to alert you when your balance is low or when a bill is due. Use these services to avoid late fees and overdraft charges. Online banking gives you constant access to your account, making staying on top of your balance, and budget easy. Set up email alerts for transactions and you have another way of tracking expenses and your balance. Banks that allow you to categorize purchases makes sorting through your purchases and comparing past transactions easier. Constant access to your account also means that you will notice signs of potential fraud sooner. Most banks are good about alerting you to fraud, but sometimes a transaction may slip through the cracks. Stay safe by regularly checking your account for any suspicious activity. Using an online bank for savings can limit your access to those funds, making it harder to impulsively withdrawal funds or swipe a debit card. Saving for a vacation? Create a special account for that. Online banking also gives you the ability to have multiple accounts. This is good for designating a specific purpose for certain accounts. Say goodbye to fees such as maintenance, ATM, and other monthly fees. Because of the lower cost of maintaining an online presence versus brick and mortar locations, online banks pass those savings onto you in the form of no fees. Certain banks take the no-fee thing a step further and give you cash back on transactions. Some banks such as Discover even offer cash back for every check that clears or bill that you pay using the online bill pay option. 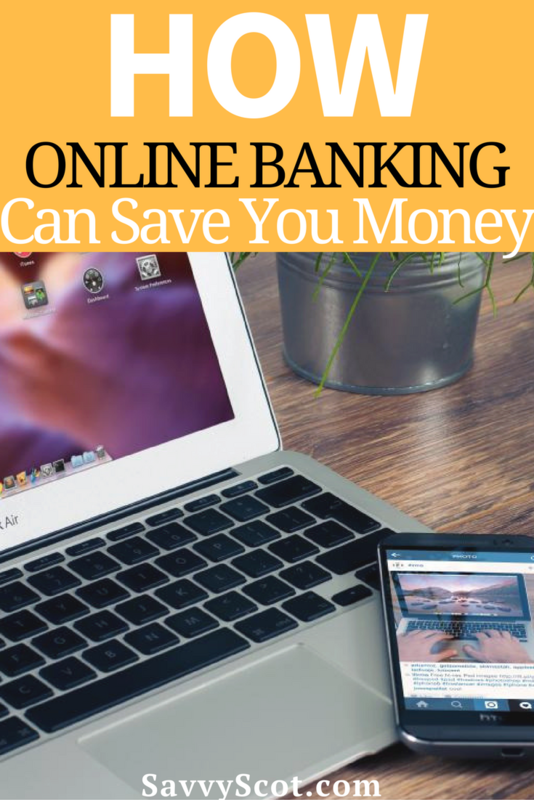 Take advantage of online banking provided by your financial institute, or open an account with an online bank and see how online banking can save you money. With access to numerous online banks and research showing which ones offer the best interest rate, you can be sure you are getting the most out of your money.